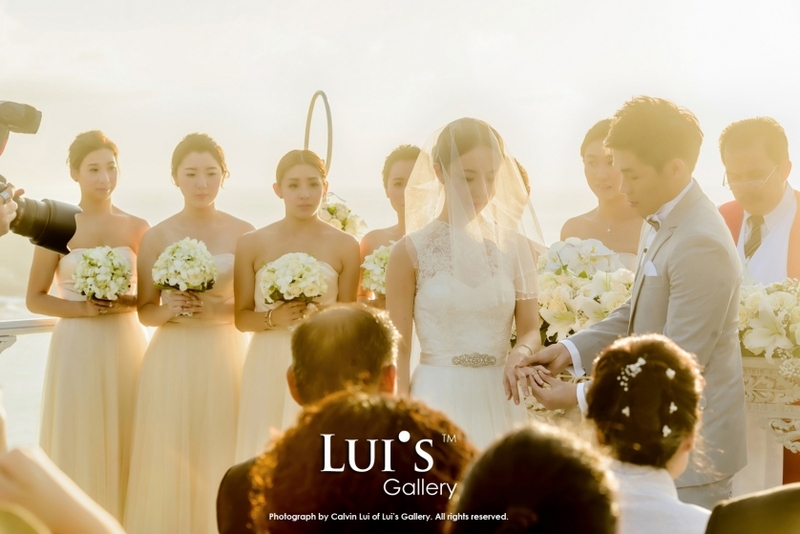 Having a bespoke wedding in Bali with sunshine along the coastal line is one kind of dream weddings of the newlyweds. 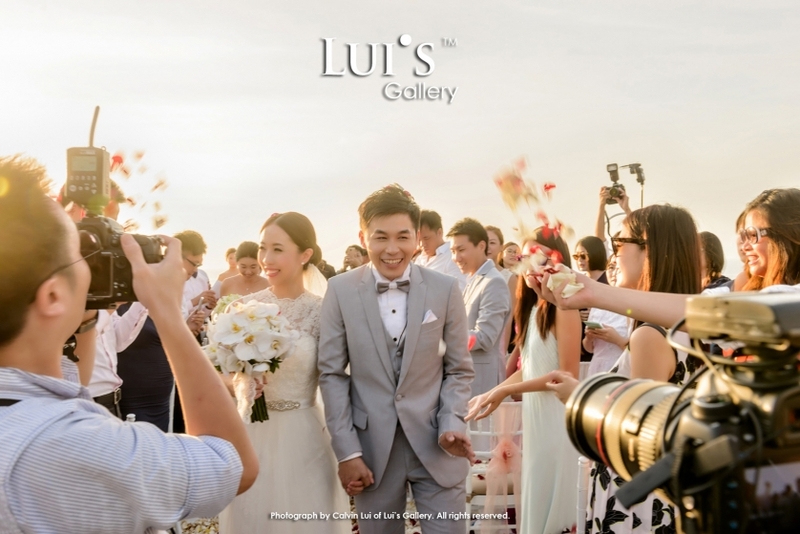 The itinerary of Gloria & Alston’s wedding in Bali was similar to those traditional one in HK including games, tea ceremony in the morning followed by evening wedding ceremony and wedding banquet at night. Yet, the ambience in Bali offers a total different feeling and made the day hassle-free and joyous. In particular, the wedding ceremony held during the magic hour was fabulous. The sunset provided a background with vibrant color palettes for each photo taken. Wedding banquet was one of outdoor with fireworks arranged. The speech by the newlyweds and parents touched every guest and myself too! I would like to take this opportunity to thank again Gloria and Alston for their arrangement. Both the hotel accommodation, food and beverages and transport were arranged well for my team. Thank you again. Congratulations and all the best wishes to your new chapter of life!